For all your glass needs such as custom frameless shower doors, mirrors cut to size, or a simple set of sliding glass doors, see Tim Meade of Reflections In Glass Inc.
Tim will come out and determine the best application for your particular needs. Reflections In Glass also has a showroom in Lake Barrington, Illinois stocked with various samples, brochures and other necessities to facilitate in narrowing down your search. 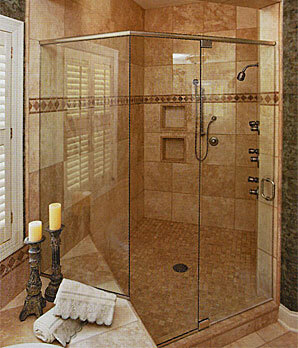 Make sure to mention our name to receive your contractors discount and FREE estimate.